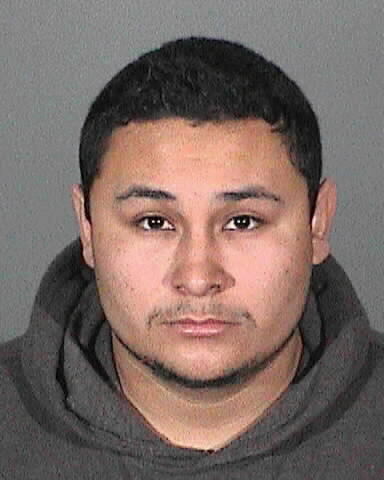 COVINA — Prosecutors Thursday charged a 21-year-old Covina man with murder and child abuse in connection with the death of his 12-week-old daughter from head injuries, officials said. Andrew Luis Lopez appeared in Pomona Superior Court, however his arraignment was continued until Feb. 26, Los Angeles County District Attorney’s officials said. He’s charged with second-degree murder and and child abuse resulting in an infant’s death, Covina police officials said in a written statement. Abigail Ann Lopez died at a Los Angeles hospital Jan. 18, three days after she was found not breathing at a home in the 200 block of West Dexter Street, Los Angeles County Department of Coroner Assistant Chief of Operations Ed Winter said. Police responded with paramedics to a report of a baby not breathing on Jan. 15, according to the Covina police statement. Detectives launched an investigation, in which they obtained a search warrant for the apartment and interviewed witnesses, police said. “It was quickly determined that (the infant) and her father were the only persons present in the apartment when the initial call was placed to the Los Angeles County Fire Department,” the statement said. An autopsy was completed Jan. 23, Winter said. Several fractures were discovered in the baby’s skull, police said. After an “extensive investigation,” police arrested Andrew Lopez Tuesday, according to the police statement. According to Los Angeles County booking records, he was being held in lieu of $1 million bail.